Yet how often do we encounter professing Christians who are conforming to this world – who after years of claiming to be born again are perfectly comfortable drinking, or smoking, or “clubbing”, or swearing, or dancing, or watching promiscuity-filled soaps, or laughing at dirty jokes, or reading horoscopes, or practicing yoga, or practicing contemplative prayer, or striving for material wealth, etc. etc.? Far too often, I’m afraid. Sorry if I sound judgmental here. But what about those Christians around us who are doing these things? Should they not be corrected, warned that, for one thing, their witness to unbelievers is being destroyed by their own behavior? Bottom line: all who claim to be born again Christians should be “no compromise Christians”. Following is an excellent list of links discussing this, by By Martha Mac of SO4J.com. Click here for the original source of this article. Note – a number of these 50 signs are reflected in my own “old fashioned” separatist Wesleyan Holiness beliefs, as well as in The Fundamentals of 1910-1915 which I hold so dear. I’m not saying I never trip up and sin/compromise – I am saying these 50 signs are what I strive for, with God’s help. INTRO: 50 Signs of a No Compromise Christian – Looks at the Signs, Fruit, & Evidences of a No Compromise Christian or True Believer from the Scriptures in God’s Word. The Purpose is to: Provoke, Exhort, and Stir the Hearts of all those who call themselves a Believer in Jesus Christ— Provoking Believers to Biblically become More & More Conformed into the Image of Jesus Christ in all we: Say, Think, or Do (1 Cor 10:31, 2 Cor 3:16-17,18). This is an SO4J Bible Study about Sanctification & Holiness for the Believer(1 Pet 1:14-17)— it is NOT a set of Rules or a List to Follow in order to be Saved. PLEASE NOTE: SO4J-TV believes that we are Not Saved by Works – Eph 2:8-9 (Legalism), but our Faith is Proven by our Works (James 2:14-20, Matt 3:8). This is NOT a Bible Study on Obedience to Rules in order to be Saved, or about Legalism. If there is No Obedience to Gods Word (1 John 2:3-6, John 14:15) & one Continues In Sin (1 John 3:8-10) then we’ll have to Face the Terrifying Consequences of Heb 10:26-31 which Jesus Warns us about in Matt 7:21-23 where MANY who Thought they were Saved will spend Eternity in Hell. This is about how a True Believer should Reflect the GLORIOUS IMAGE OF CHRIST in our Lives (2 Cor 3:18, 2 Cor 5:17, Matt 5:16), by living HOLY & CLEAN lives (1 Pet 1:14-15,16-17) for GOD’S GLORY (1 Cor 10:31)— and Obey God’s Word out of a LOVE FOR JESUS (John 14:15,21,23-24, John 15:10,14, John 3:36, John 8:31, Luke 6:46). SO4J-TV also understands that Christians are not perfect— they still Sin once in a while (so to speak – 1 John 2:1, 1 Cor 3:1-15). We want to reach out to those people who call themselves Christians— yet use the Grace of God as a License to Sin (Rom 6:1-23, Rom 6:15-16). We are concerned that there are MANY “Christians” (Matt 7:21-22, 23) who are NOT ready to face Jesus on Judgment Day (Heb 9:27). Our Aim is to provoke all of us to Examine our Faith with the God’s Word (2 Cor 13:5), and make sure that we are Biblically Saved, and Ready to Face Jesus on Judgment Day (2 Cor 5:10). 32 – They Are WINNING THEIR BATTLE AGAINST SIN & Keeping the FULL ARMOR OF GOD ON! At several times in the past several years, I have discussed the Trinity with Oneness Pentecostals, and well as evangelicals who are not quite sure there is a Trinity. One of the major questions is whether a person can be become a born again Christian without believing in the Trinity. Many born again Christians believe a person cannot become born again without believing in the Trinity. I came across an excellent article which explains why this is. I have reposted the entire article below; click here for the original source. I have emphasized certain points by bolding in orange, and inserted comments [in brackets in bolded orange]. In light of the recent T.D. Jakes controversy and Modalism I decided to write this article to better explain the problem with this heresy. Too many times Christians have no clue how to explain why Modalism is a damnable heresy because they do not understand its conclusions. Modalism is nothing new and pops in and out of the spotlight all of the time. In fact, while I lived in Eugene, Oregon my dad and other men from our Southern Baptist church battled with Modalists who were members of our church, but secretly involved in the United Pentecostal Church. The men were actually teaching sunday school for the youth group males, as well as trying to befriend many of the men of the church and influence them. They were trying to take over our church from the inside. This is the church I was baptized in when I was 15. One day I was taken on a trip with the main leader of these 3 Oneness Pentecostals who told my parents it would be good for me. His son came with us and we ended up going really far away, near the coast and meeting up with a large group of people to help build a church. We were installing drywall and helping pull wires through the ceiling. It so happened that the church was a United Pentecostal Church that I was helping do work for. He deceptively brought me on the trip to help his heretical church brothers fix up one of their church buildings. His deception was very strong as he accomplished the manipulation and brainwashing of 2 of our church men. The 2 men teamed up with him in order to attract more of the men so they would bring their families into their den of wolves. Heresy within an orthodox church has the tendency to become a zombie-like infestation that deadens the minds of men and puts them under the control of demonic influence. Another even worse issue was that the main leader of the 2 other heretics was having secret communion meetings behind the church outside on certain nights. He invited my parents to come once, and it was people who did not belong to our church, strangers they never saw before. They were having some kind of worship meeting and communion. They had set up a small tent covering in the back parking lot. At the time, my parents were new to the church so did not realize what was going on at that moment. Eventually, these wolves in sheep’s clothing were exposed and kicked out of the church, but not after many instense debates, arguments, and spiritual attacks. Modalism (also know as Sabellianism [named after Sabellius, the heretic priest from the 3rd century that promoted this heresy], Modalistic Monarchianism, Modal Monarchianism, Oneness, and Patrapassionism [which means the Father suffers in Latin]) is the belief that God is only one person and changes/shifts into different modes. This is a heresy that leads a person to Hell because any incorrect belief about the nature of God cancels out salvation by default. This default happens in different ways but always occurs. Modalism leads people to Hell just like any other heresy about God’s nature. Modalists deny the Trinity, and in most cases with extreme aggression. Unfortunately, many Christians have a hard time logically expressing why this belief is a damnable heresy. This heresy is an extremely strategically, deceptive heresy which tries to mask itself and blend in with Orthodoxy. It fools many evangelicals. Unlike other anti-Trinitarian beliefs that deny the deity of Christ, this heresy embraces the deity of their “Christ” hence why it is so deceptive (note: there is another less popular form of Modalism that denies Christ’s deity called Adoptionism, but is not the focus of this article). Modalists claim to love Jesus Christ and claim He is God, yet in reality Modalism denies Jesus Christ and is an antichrist religion. It is a very destructive belief and total blasphemy. Without a deep understanding of soteriology and the nature of God, Christians can be confused on how to explain why Modalism is heresy. This article will attempt to do so. Modalism has been a problem since the early Church and still continues to be a problem today. The main proponent of Modalism in modern times is the cult called the United Pentecostal Church (UPC). The televangelist, charlatan “Bishop” T.D. Jakes is affiliated with this group. Another cult that is almost as big as the UPC are the United Apostolic Churches (UAC). These groups are known as Oneness Pentecostals, and still, there are lesser known sects and individuals who promote a modalistic God. MacArthur (2007) states, “As these groups and their popular spokespersons have found increasing acceptance in the evangelical mainstream, modalism is suddenly being accepted as if it were a valid evangelical option” (p. 117). In some circumstances, people make the mistake of expressing God in a modalistic way to express the three Persons of God, such as using H2O as an example of three things being one which causes people to misunderstand the Trinity (i.e. water, ice, and vapor are different things but all three are still H2O, yet H2O is never all three at the same time). Some people mistakenly believe in a modalistic God out of ignorance of how to describe the Three Persons mentioned in the Bible. People try too hard to explain God and end up using human wisdom to describe God and are not satisfied with leaving the Triune nature of God as a mystery. True believers, who make such mistakes out of ignorance, eventually (and most of the time quickly), come to the realization that God truly exists in Three distinct persons who are not the same, yet comprise of ONE Eternal Being. This is why Christianity uses the term Trinity which means TRI-UNITY as in three-as-one. True Christians become satisfied with this mystery and accept it as just that, a mystery. No one can fully understand how God is, but Christians can know what God is because the Bible teaches it. The type of people who come to understand that the biblical truth of God is the Trinity are people who care to know correct doctrines and want to love the true God and will seek out proper knowledge of the Bible. Sadly, most Modalists have absolutely no desire for seeking actual truth and want to force their opinions into the Bible because they have personal agendas. A truly innocently ignorant follower of a modalistic god will always repent within due time, without much division, strife, or aggression against Trinitarians. The others are simply heretics whom are inspired by Satan and will always fight a losing battle against the Trinity until they die and go to Hell. Unfortunately, the latter makes up the major portion of Modalists and always has. You can see the demonic minds of these reprobates expressed all over the internet, especially YouTube. Modalism contradicts what Christianity has historically accepted about the nature of God. True Christianity expresses God existing in three Persons that equal one Being. This belief is given the theological title of “Holy Trinity” to express this concept. Whereas, in Modalism God is expressed as existing in only one person that shifts into different modes and moves in different ways in different times throughout history. God “shape shifts” so to speak, from the Father at one time, changing into the Son another time, and also changing into the Holy Spirit at times. The Father, Son, and Holy Spirit never exist at the same time in Modalism. The UPC and Apostolics call their god “Jesus” and they baptize their congregants strictly, only in that name. “Jesus Christ” is the proper name of God to them which covers the Father, Son, and Holy Spirit. Their “Jesus” god is all three: the Father, Son, and Holy Spirit, but the modes are never shifted into at the same time. Their god is a changing god. This contradicts what the Bible teaches in Hebrews 13:8 which states firmly: “Jesus Christ is the same yesterday, today, and forever.” What is annoying is that many of these Oneness followers illogically use this same verse to somehow promote the Trinity being false. It is a fact that their religion is not at all based on logic when exegeting the Bible. What Oneness/Modalism promotes essentially, is, that Almighty God being only one person, died on the cross. Logically, this would mean that the Father came down and died on the cross but just shape shifted into the Son. So there is no actual different person of God dying on the cross. 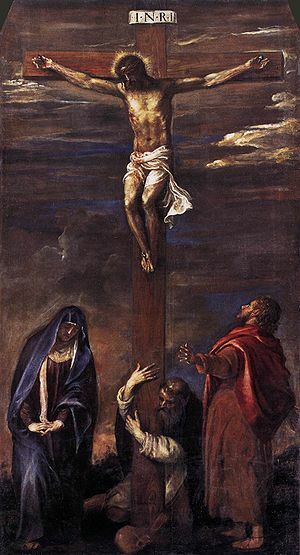 It is the same person dying on the cross, the same person giving itself as a sacrifice, and the same person accepting itself back into heaven. Modalism claims another “Father” that schizophrenically changes his personality by shifting into different modes. How can anyone trust a God who changes so sporadically? How can we even be sure there are only three modes of God? There might be more. This is a critical mistake! Not to mention it makes absolutely no sense! Oneness heretics will claim that this proves that Jesus Christ is the Father and only shifted His mode into the Son. The Son did not exist until the Father turned into Him. This verse does call the child Eternal Father, but that is only stating a fact about His Godhood, that Jesus Christ is fully God and God is our Eternal Father. Not that Jesus Christ is actually God the Father. Related passages in the Bible about Jesus Christ and God the Father explain it so. The concept of the Holy Trinity is all over the Bible. The actual beliefs of the Trinity are misrepresented by Modalists who claim it promotes three gods and not one. This is not true. The Trinity teaches that all 3 Persons are different from each other and not the same, yet they are all One and the same God. The Father is 100% fully God, the Son is 100% fully God, and the Holy Spirit is 100% fully God. But the Father is not the Son, is not the Holy Spirit. The Son is not the Father, is not the Holy Spirit. And the Holy Spirit is not the Father, is not the Son. Yet all three Persons are one God, the same God. This teaching is all over the Bible and it is a mystery that we cannot understand, but we must accept. God: Father, Son, Holy Spirit is our Eternal, Everlasting Father. The most basic reason why Modalism cancels out salvation is that if the Trinity is true, it means that God is Three-As-One and anything other than a triune God does not exist. Worshiping a God that does not exist is idolatry. Modalism is a false religion and God commands that there should never be any other gods worshiped besides Him (Exodus 20:3). There is no forgiveness of sins if a person puts their trust into a false god. Just because the name of a false God uses the same titles and names as the true, triune God of Scripture does not mean it is the same God. Matthew 24:24 claims there will be false Christ’s coming, and 1 Corinthians 11:4 says that people can preach a different Jesus and a different spirit and Christians should not put up with it. Simply labeling something as Jesus does not change the fact it is a lie from Satan. “[M]odalism ultimately loses the heart of the doctrine of the atonement– that is, the idea that God sent his Son as a substitutionary sacrifice, and that the Son bore the wrath of God in our place, and that the Father, representing the interests of the Trinity, saw the suffering of Christ and was satisfied” (p. 242). Christians cannot accept Modalists as brothers in the Lord, and they should never be unequally yoked with Modalistic darkness. The modalistic god denies the Eternal Person of the Son, thus meaning they deny the true God and profane His atonement. What Modalism is actually saying is that the separate person of Jesus Christ, the Son, is not real and never died on the cross because He does not exist. A separate Person does not exist. Only the Father (or Almighty God) exists and changes his face to turn into and look like the Son. This is a bold denial of God as a whole (since Jesus Christ is fully 100% God) and a denial of the work of the existing Second Person of God: the Son. A human example would be that a Father agreed with his son that he would go out and pay an extremely expensive price for criminals to be free from their death sentences, and that his son would own them and they would be given to him; and he would show them compassion. After hearing about freedom from their judicial punishments of death because of the son’s payment, those criminals— instead of going with the son who bought them— believe the father is actually the one who bought them because he morphed into the mode of the son. Furthermore, the criminals claim that the son who actually bought them with his father’s urging does not even exist. They believe only the father exists and shifts into a different looking mode to become his own son, but is still the exact same person as there is not a son person and a father person, but only a father person who shifts modes. He just changed into the son. So the son who actually bought them with an extremely expensive price is denied as well as his hard work earning the payment for them to be free. This is a major insult to the son. But in reality the only way they could be free is if they understand that the son is actually a real person who exists and is not the father, and they follow him. Because since these criminals deny the son who bought them, and instead believe his father shape shifted into a son to become him, that real son that exists separately from his father will deny them in the presence of his father. Modalism denies Jesus Christ. The Bible teaches that if you deny Jesus Christ (being the Son of God, a separate Person from the Father, and separate from the Person of the Holy Spirit), He will deny you in the presence of God the Father. Jesus Christ Himself said, “For whoever is ashamed of Me and My words, the Son of Man will be ashamed of him when He comes in His glory and that of the Father and the holy angels” (Luke 9:26). Jesus in Luke 12:9 also said, “…but whoever denies Me before men will be denied before the angels of God.” So it is obvious that Modalism denies Christ despite the fact they try to claim they promote Jesus and follow Him. The Oneness “Jesus” is a “false Jesus” that does not exist and profanes, and blasphemies the true living, eternal, Son of God. It misplaces credit for propitiation onto the Father, when propitiation was strictly something the Son did. Romans 3:23 says that the redemption is in Christ Jesus, and in verse 24 it says, “God presented Him as the propitiation through faith in His blood, to demonstrate His righteousness, because in His restraint God passed over sins previously committed.” It does not say that the Father was the propitiation. 1 John 2:2 explicitly states that Jesus Christ alone was the propitiation: “He Himself is the propitiation for our sins, and not only for ours, but also for those of the whole world.” Since the Trinity is true, Modalism is denying God by claiming the Person of the Son does not exist. 1 John 2:23 expresses it simply, “No one who denies the Son can have the Father…” All repentant sinners become Christians who receive salvation. 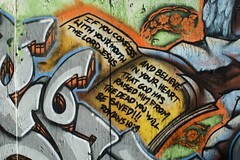 Christians are saved because they call on the name of the Lord and confess that Jesus Christ is Lord. If someone repents to a false God that does not exist, one that denies the existence of the Person of the Son, they will not have salvation. Romans 10:9 says, “…if you confess with your mouth, ‘Jesus is Lord,’ and believe in your heart that God raised Him from the dead, you will be saved.” If a person claims this verse for a Modalistic Jesus, one that denies the Person of the Son, there is no power for salvation. Not only is Modalism an offense to the Person of the Son, but it offends the Person of the Father by ignoring His sacrificial giving of His one and only Son, the Son which He loves so much in relation within the Godhead; and it claims instead that He is the one who died and gave the propitiation for sins. Ignoring the extreme sacrifice the Father allowed to happen to His precious Son is an extreme insult to the love of the Father for sinners that He would allow His own Son (who was willing) to be punished in their place; and not only that, but that the Father is the one who gave out all of the crushing punishment to His own Son. Isaiah 54:6 says, “The LORD has punished Him for the iniquity of us all.” Also, 2 Corinthians 5:21 states, “He made the One who did not know sin to be sin for us, so that we might become the righteousness of God in Him.” Modalism denies God this glory and insults the Father. The Father remained pure and untouched by sin and is the righteous judge that gave out His wrath onto Christ. If Modalism is true it means that God existing in one person, being the Father would have became sinful and then killed himself. There would be no righteous judge untouched by sin able to pour out the wrath. It would be the Father becoming sin on His own and then punishing Himself. This idea cancels out a pure and holy Person who is able to remain innocent who can judge sin. In reality, since the Trinity is what is true, there is a righteous and clean judge untouched by sin that was able to pour out His wrath onto Jesus Christ (who was made sin willingly by the Father) and complete the ability for salvation to be completed. To deny the Father’s giving of His real eternally existing Son is blasphemy, and it cancels out the ability for salvation. Such a person as the “god father” of Modalism does not exist and it profanes the true Father’s work. Therefore, Modalism completely denies the true Father. Not only does Modalism deny Christ, and the Father, it also denies the Holy Spirit and claims He is also the same as the Father. That would mean the Person of the Holy Spirit (who is 100% fully God as well) according to the Trinity does not exist, thus denying God completely. Nonetheless, Modalism is idolatry and an offense to the true God and will be punished on judgment day. Modalism cancels out the ability for an actual human/God existence in Jesus (a conclusion that the Adoptionist form of Modalism understands). Jesus Christ is 100% man and 100% God at the same time. This is the dual nature of Christ concept that true Christians believe. Jesus Christ, who is God, came in the flesh (John 1:1, John 1:14) and was a blood sacrifice for our sins. Romans 7:4 says, “Therefore, my brothers, you also were put to death in relation to the law through the crucified body of the Messiah.” If God is only one person then it would mean that Jesus Christ is the same person as the Father. If Modalism was true it would be that Christ’s will as a human would not at all be different from the will of the Father because they are the same person. But the Bible says in Mark 14:36, John 6:38, and Luke 22:42 that Jesus was not doing His own will, but the will of His Father. If Modalism was true these verses would be contradicting this “one person only god” by expressing that Christ’s will as a human and His God will were not unified. This would mean that Jesus Christ as a human was not God, and that God must have possessed a human person that is not God. Hopefully, this article has effectively addressed the reasons why Modalism is a serious heresy, and is not to be taken lightly. Especially, it is not to be accepted as a valid, non-essential doctrine within the bounds of orthodoxy. Modalism completely denies the true God and creates a false god that does not exist. Modalism’s logical conclusion is self defeat. It denies all three Persons of God and commits theological suicide. It denies the Father, Son, and Holy Spirit as well as the humanity of Christ that atoned for sin. Modalism is an illogical heresy and needs to be aggressively refuted in evangelical circles. Too many people are confused and unable to understand the mechanics of this heresy because it is so deceptive. It is nothing but a device of Satan and demonically energized within theological circles to lead people astray so that they will burn in Hell for eternity. Modalism is truly a damnable heresy. Grudem, W. (2000). Systematic Theology. Grand Rapids, MI: Zondervan Publishing House. MacArthur, J. (2007). The Truth War. Nashville, TN: Thomas Nelson. To me, it’s becoming more and more obvious that one of the foundations of a biblically sound church is a biblically sound Bible version. And in a perfect world, I believe we would only have one authoritative Bible version in each language. In the English language, I believe this version should the King James Bible (and its source documents the Textus Receptus New Testament and Masoretic Old Testament). There are many reasons I believe the King James Bible should be our go-to Bible version. For one, it has stood the test of time, having been used for over 400 years. Also, denominations and churches that switch from the King James Bible to another Bible per-version “that the youth like better and find easier to understand” almost invariably fall prey to various heresies. Today among evangelicals, the primary heresies seem to be Spiritual Formation (Contemplative Spirituality) and Postmodernism (Emerging/Emergent/Emergence teachings). Note: I’m not speaking for King James only Free Will Baptists here – but I assume their position is very similar: my personal position on the King James Bible closely matches this article by Independent Fundamentalist Baptist David Cloud. Concerning the dropping of the King James Bible (or the adding of other per-versions alongside it), this push among Free Will Baptists seems to be coming from “the power people” (denominational leaders and professors). But thank the Lord, many of the Free Will Baptist churches throughout the U.S. seem to be resisting this change, to the point of becoming more independent – officially or unofficially – from the national association. It is true that national speakers have to use the KJV at the national. Although, that is the exception not the rule when it comes to how our broader, denomination wide FWB institutions have approached the KJV issue. Randall House now offers some NKJV and ESV curriculum. Chapel and conference speakers at FWBBC [renamed Welch College] can use differing translations, over the years I’ve heard the NIV, KJV, and every evangelical friendly translation in between used from the chapel pulpit. International missionaries are not required to use translations based on the textus receptus. And, I don’t think (but I could be wrong here) that Home Missions requires church planters to use the KJV. The theological commission has used time at the National for Dr. Pic to teach against the KJV only position. [I’ve provided links to two of Dr. Picirilli’s articles in the Endnotes below this blog.] So, if you look at the total picture, I think the national requirement for speakers is an anomaly – not the rule – when it comes to how our national boards and institutions have approached the bible translation issue. In fact, I think the KJV speaking rule at the national is a good gesture of peacemaking – while, we have moved toward the left in almost every other way on the national level. We certainly do not always denominationally lean right (FWB speaking) on this issue. Now to a news flash over at Randall House Publications. I have reposted a press release below, which was published in early 2013; click here for the original source and scroll to page 49. I have emphasized certain points by bolding, and inserted comments in [brackets]. Note – in this or another blog, I hope to add a discussion of the history of the KJV/TR-only debate in the National Association of Free Will Baptists. James R. Roby (Pastor, DeGraff FWB Church), The “New” KJV is NOT a KJV at All! The NKJV, is it a KJV? Note – I found many additional critiques of the NKJV; I hope to add links to these critiques here, as I have time. Can truly born again Christians “lose their salvation”? Being brought up in the Wesleyan Holiness tradition, I believe so. I’m encountering many Christians who claim to be born again, yet refuse to give up ungodly practices such as Spiritual Formation/Contemplative Spirituality. They seem to feel safe in Christ, no matter what sins they refuse to give up. Can they continue in sinful rebellion and not build up the wrath of God? I doubt it. In the Bible, Paul makes various statements regarding this; he seems to have feared losing his salvation if he did not remain obedient to Christ. Many people I know in Spiritual Formation, I thought were born again Christians. But looking back, it seems many never really knew the Lord in the first place. Yet, I still think we all have free will. We have free will to accept Christ and become truly born again Christians. And truly born again Christians WILL NOT WANT to turn their backs on Christ and leave the faith. Yet, since born again Christians are still creatures of free will, God could allow them to leave the faith if they so choose. I do think it is unreasonable to fear losing our salvation every time we slip up and tell a white lie, or run a red light on purpose, or whatever. So here’s my view: I believe in “conditional eternal security.” I came across a very insightful article listing seven “streams” of conditional eternal security (John Wesley, H. Orton Wiley, etc.). I have reposted this article below; click here for the original site of this article. I have emphasized certain points by bolding in orange, and inserted comments [bracketed and bolded in orange]. In response to the list of eternal security views that I recently posted on my blog, I wanted to offer a short list of the views held by Arminians on eternal security. You may find it ironic that, like Calvinist, there is no agreement among Arminians over the nature of the security of the believer as this list will hopefully show. I will not give you my opinion on which I hold to and will leave you to your own conclusions on each. I have tried to go from the most extreme view to the least while still being Arminian in theology and practice. 1. Daniel Corner – Corner is the author of the book The Believer’s Conditional Security. I have a copy of the book and have used it many times. Overall Corner does a good job of presenting logically arguments against eternal security. He also footnotes many quotes from various Calvinist teachers to show the lack of unity among Calvinist over their own teachings. Corner is extreme, however, in his view that only one sin can cause a lose of salvation. Many Arminians are not willing to embrace Corner’s views. Further, Corner’s arguments would be stronger in his book if he covered all of Calvinism and not just eternal security. As Calvinist Dr. James White argues, eternal security is based on the other four points of Calvinism as well. 2. John Wesley – The father of the modern Wesleyan movement, John Wesley taught that sin can cause a loss of salvation and he believed that holiness was indeed necessary for eternal life. Wesley strongly taught against Calvinism in his day despite his friendship with Calvinist George Whitefield. Wesley was not an extreme view of losing your salvation since he did believe that sin did in fact dwell in the believer but Wesley did teach that sin needed to be eradicated and could only be done so by the power of the Holy Spirit living within the believer. Wesley’s views remain in tact to this day and the majority of Arminians hold to most of what Wesley taught. Wesley was brilliant and one of the greatest scholars the Church has ever known. 3. Richard Watson – The 18th century Methodist theologian who took the teachings of John Wesley and first put them into systematic form. Watson’s systematic theology book would remain the standard Arminian source for biblical theology for nearly 175 years. Watson’s writings would later influence many Nazarene, Wesleyan, and Pentecostal theologians. Watson believed in line with Wesley that continued, unrepentive sin could result in a loss of personal salvation and that perseverance was necessary for eternal life. 4. John Miley – The 19th century Holiness theologian and writer deviated from John Wesley and Richard Watson in his teaching on the governmental theory of the atonement. Miley’s book Systematic Theology remains an important work from Arminians theologians. Despite the problems I have with his atonement theory, Miley taught that eternal security was not biblical and that it allowed for continued sin in the life of the saint and furthermore was an insult to the grace of God (Titus 2:11-12). 5. H. Orton Wiley – The prominent Nazarene theologian’s book Systematic Theology remains on the best Arminian theological books available today. Wiley taught that eternal security was not biblical and that a believer could fall from grace through continued sin. Wiley differed with John Wesley and Richard Watson somewhat by teaching the standard Nazarene view that the baptism with the Holy Ghost was necessary to eradicate the sinful nature still alive in the believer and thus help the believer reach a point of “sinless perfection” in the eyes of God. This Spirit Baptism was a second work of grace called entire sanctification and helped the believer overcome sin in this life as long as the believer continued with faith in Christ. 6. Robert Picirilli – A modern theologian with the Free Will Baptist Church, Picirilli’s book Grace, Faith, and Free Will has been called the book that launched the modern Reformed Arminian views. Picirilli is different from many Arminian theologians because he is not Wesleyan but is Baptist. He argues in his book that his theology is true Arminianism as taught by James Arminius. Picirilli argues that one can only lose their salvation through apostasy and not sin. He teaches that perseverance is necessary for eternal life but sin is not the issue as much as faith in Jesus is the issue. Sin, argues Picirilli, clearly reveals a lack of faith in God’s Word and in His Son. Sin, then, is open rebellion toward God and leads to apostasy which can not be undone according to Hebrews 6:4-9. 7. James Arminius – I have chosen to place Arminius last because Arminius was not clear on his views concerning the loss of salvation for the believer. In some places Arminius seemed to embrace modern Arminian thought that a believer can fall from grace but in other writings, Arminius seems to teach that a true Christian will persevere by the Spirit of God. As the father of the modern Arminian movement, Arminius helped shape the theology of millions of believers for generations to come while leaving the debate open over the issue of eternal security. Clearly, however, Arminius would oppose Calvinism and its allowance for continued sinning without repentance. I would have added the Baptist writers Dale Moody, Church of Christ writer Robert Shank, and Baptist apologist Norman Geisler in this list as well if timed permitted. Each of the above mentioned have each made contributions toward modern Arminian theology. However, the greatest influence I believe made upon the modern evangelical church about the nature of salvation is not by any on this list or the Calvinist list but by the 19th century revivalist Charles G. Finney. Finney was neither Calvinist nor Arminian in his theology. While he seems to try to align himself more with Arminians then with Calvinist, Finney and Arminius (nor Wesley) would agree with one another. Finney was semi-Pelagian and most of the evangelical church including the seeker movement, the Purpose-Driven movement, and many denominations such as the Asssemblies of God, the Southern Baptist, and a host of others are more semi-Pelagian then Arminian.